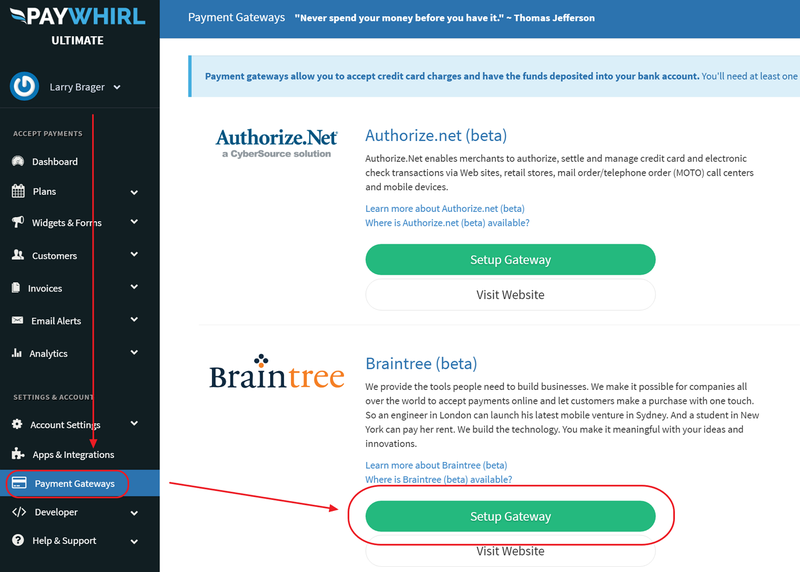 If you'd like to connect your Braintree account or PayPal account to PayWhirl, you can do so by navigating to "Payment Gateways"
If you'd like to connect your Braintree account to PayWhirl, you can do so by navigating to "Payment Gateways" in your PayWhirl account and clicking "Setup Gateway" next to the Braintree logo. PayPal owns the Braintree gateway so they have an easy method to connect up. 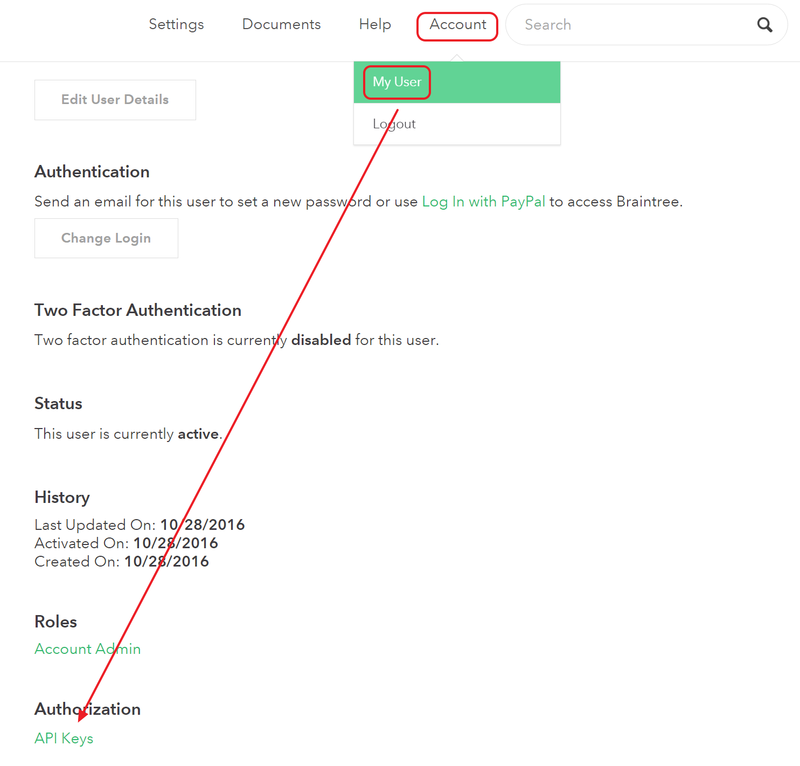 If you already have an existing PayPal Business account you can easily Connect PayPal to Braintreefor use with PayWhirl. Note: You must be on a monthly paid PayWhirl Plan to access this gateway. 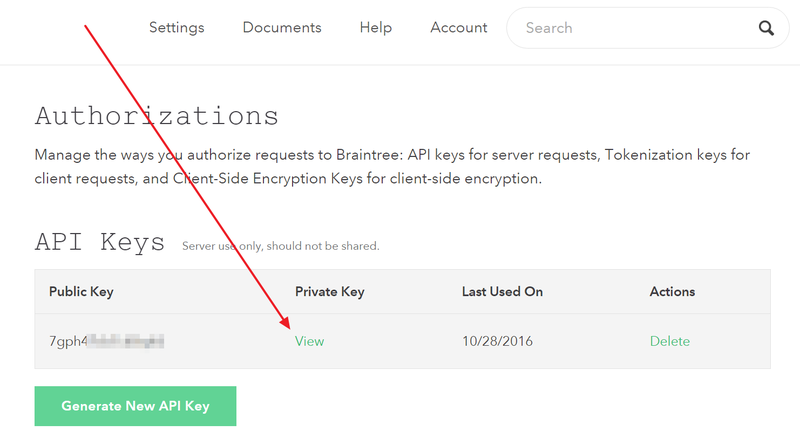 To finish the Braintree gateway setup you will need to get your Merchant ID, Private & Public keys from your Braintree account. To obtain these keys open the Braintree dashboard in a separate browser tab or window. Click Account > My User at the top and then click Api Keys. At the top of the page you will see the public key and can click view to get the private key. Next, go back to PayWhirl and paste these values into the corresponding fields in your Braintree gateway settings.... Finally, click save gateway to confirm your settings. 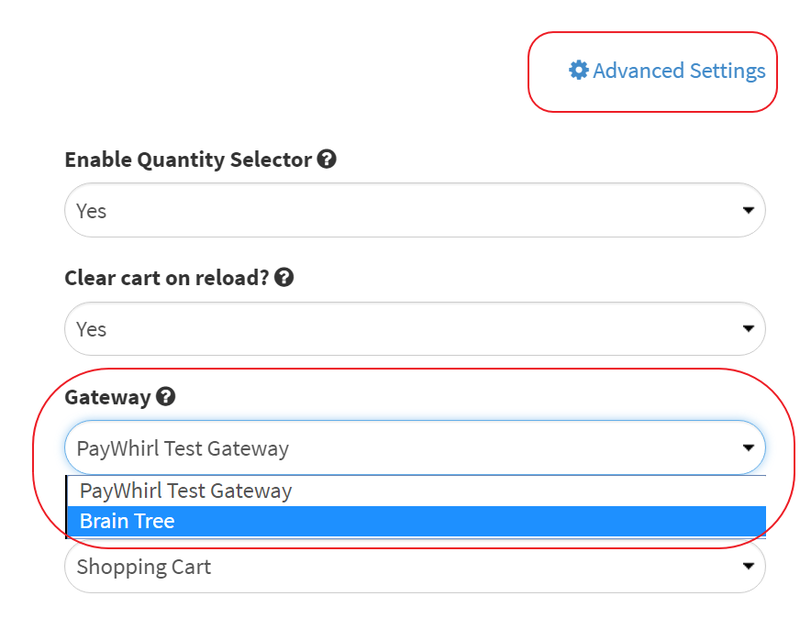 At this point the Braintree gateway has been added but you still need to enable it in your widgets when you are ready to go live. Finally, to connect your payment widget(s) to your LIVE Braintree account. Navigate to "Widgets & Forms" in the main menu of PayWhirl and click "edit" next to the widget(s) you'd like to update. At the very bottom of your widget settings you will see a link called, "advanced settings." 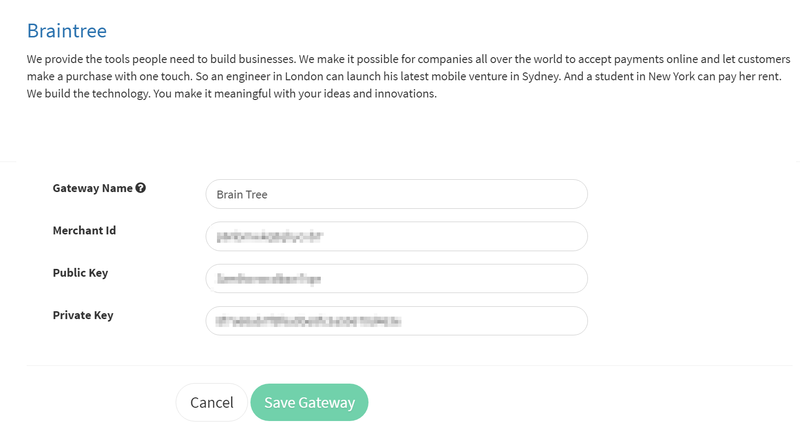 Change the "Gateway" setting to use your LIVE Braintree Account.